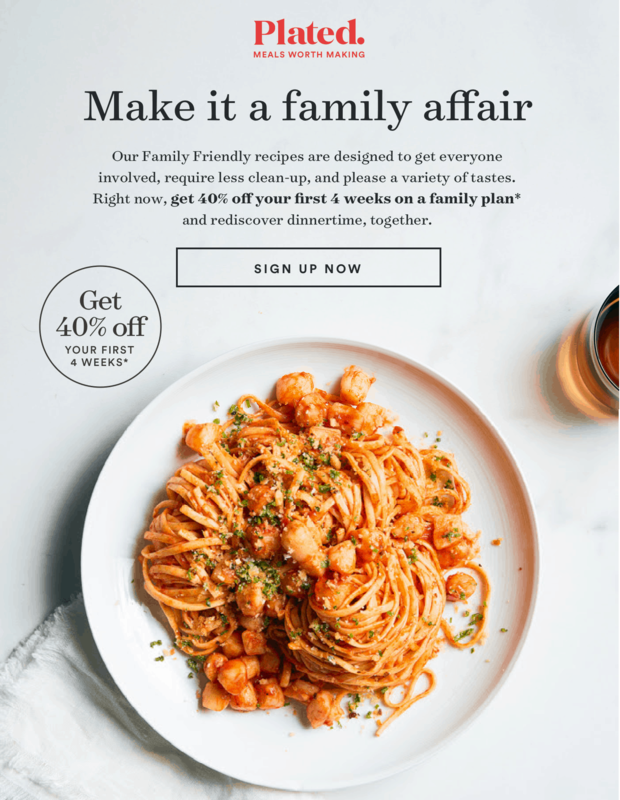 Plated Coupon: Get 40% Off! 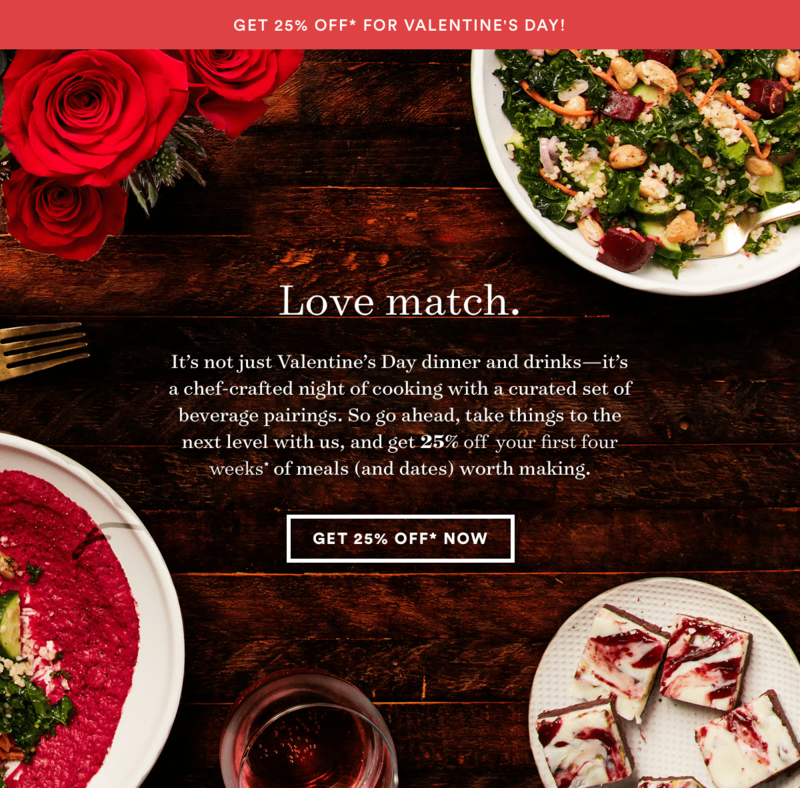 Plated Valentine’s Day Coupon: Get 25% Off! 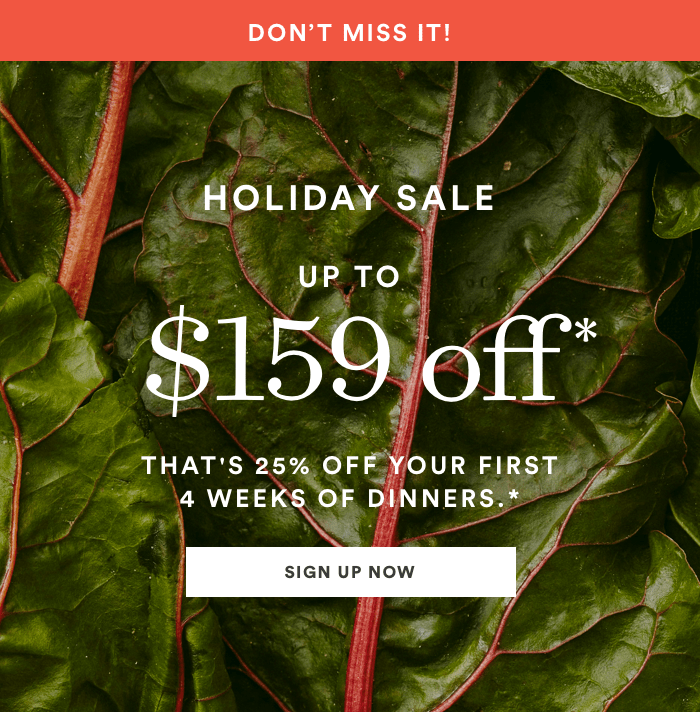 Plated Holiday Coupon: Get Up To $159 Off! 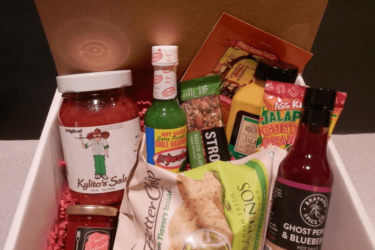 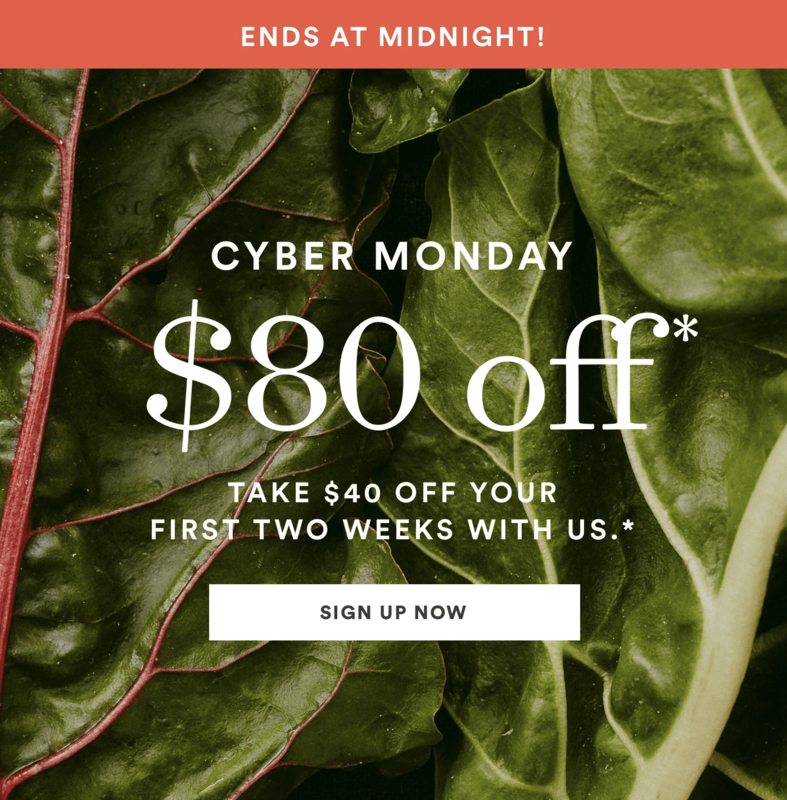 Plated Cyber Monday 2018 Coupon: Save $80 On First TWO Boxes! 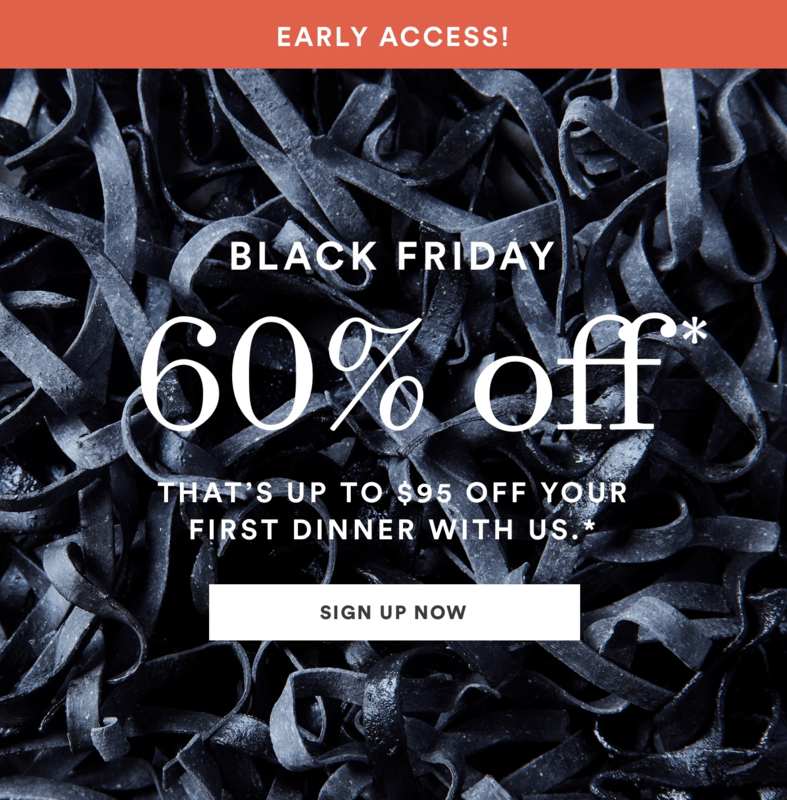 Plated Black Friday 2018 Coupon – Save 60% On First Box! 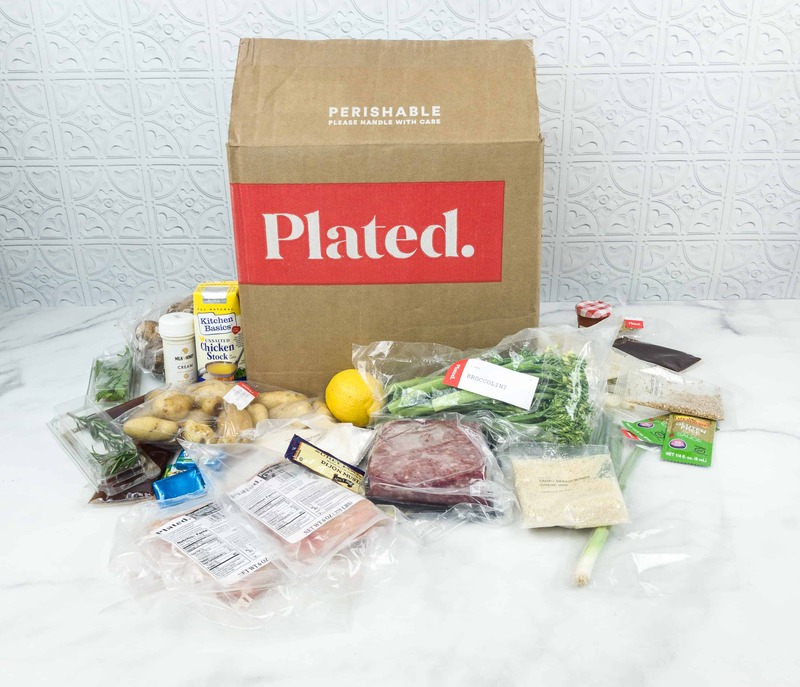 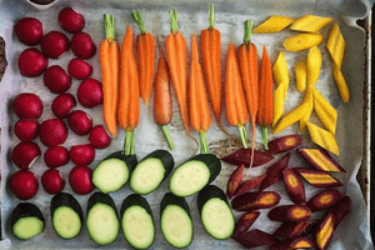 Plated Deals: Save Up to $159 In Meals! 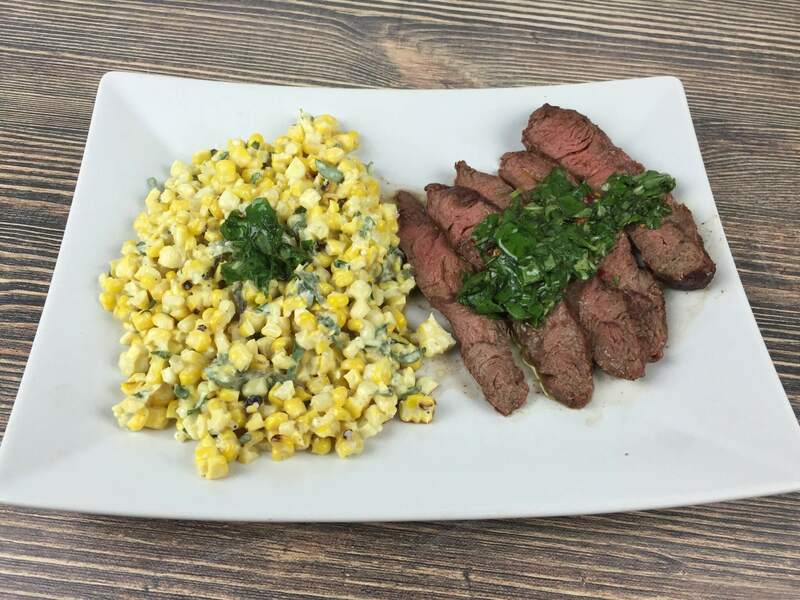 Plated Mother’s Day Menu Now Available + $30 Coupon! 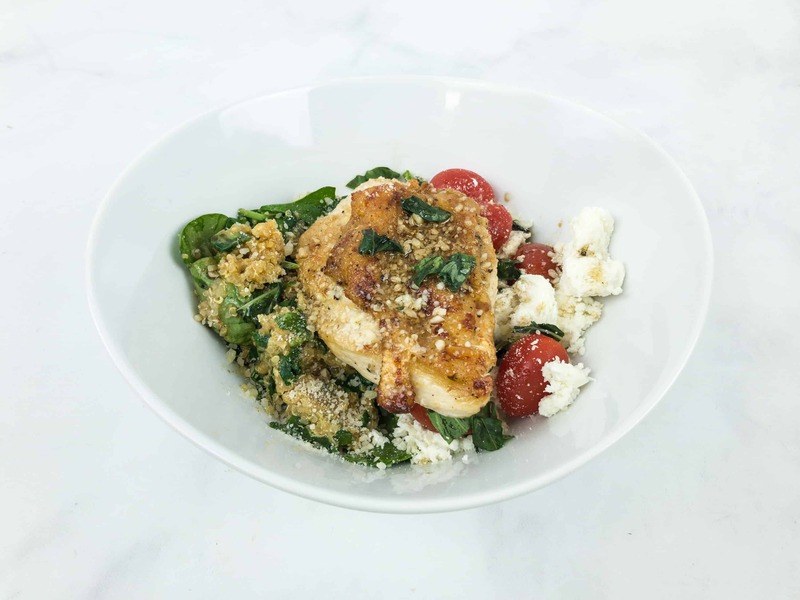 Plated’s March 2017 Encore Recipes Announced! 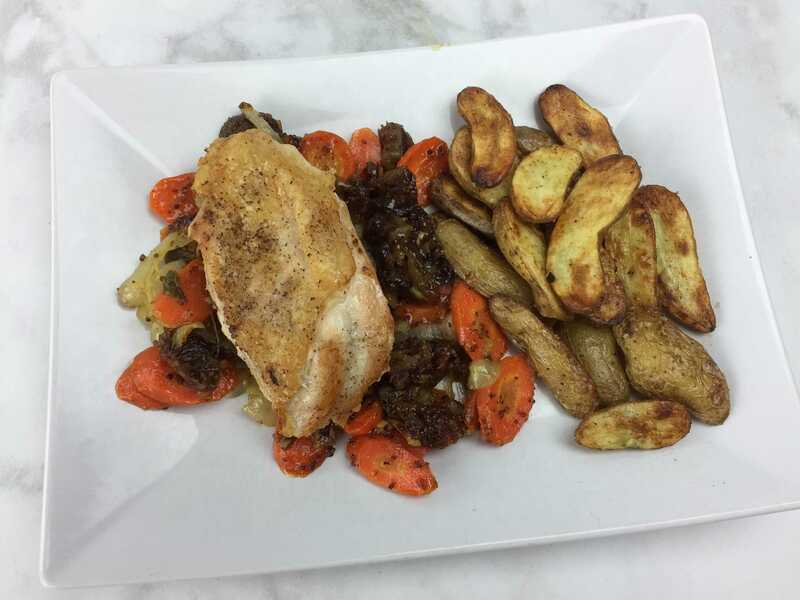 Plated’s February 2017 Encore Recipes Announced! 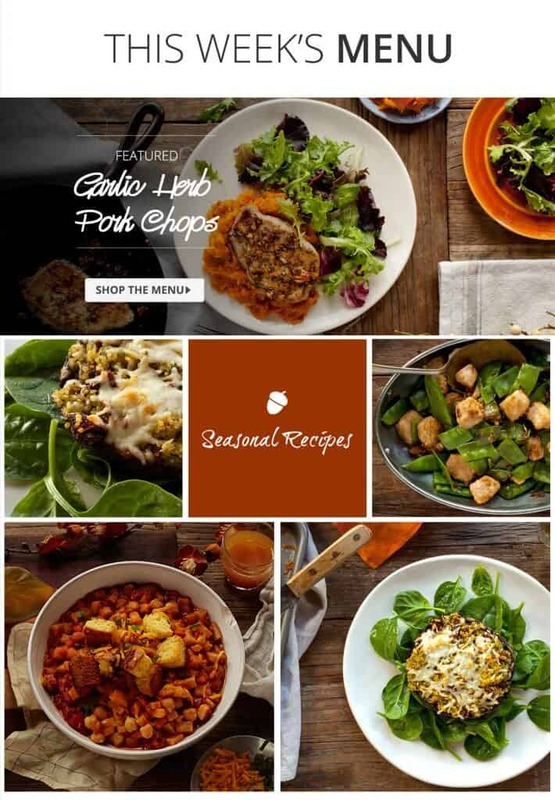 Plated 4-Serving Plans Now Available + $30 Coupon! 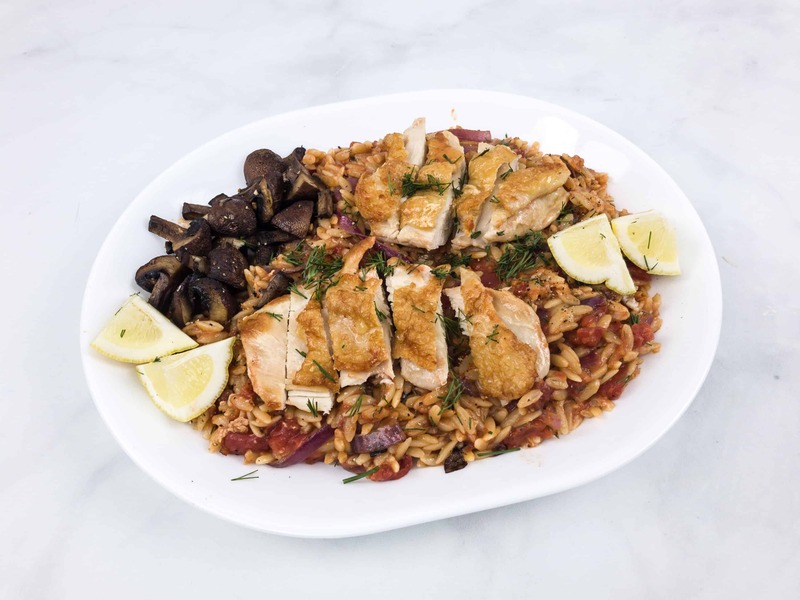 New Plated Menu – Planned Next Week’s Dinners yet? 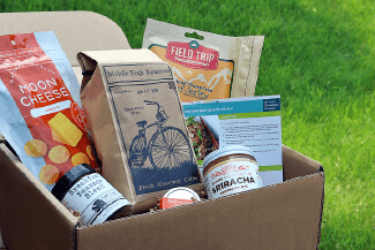 Easy Peasy Thanksgiving with Plated.com – New Menu! 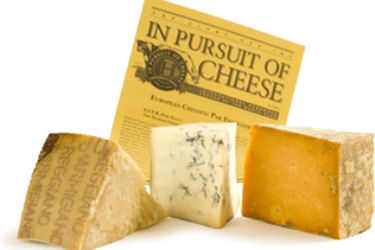 Plus Free Plates for New Customers! 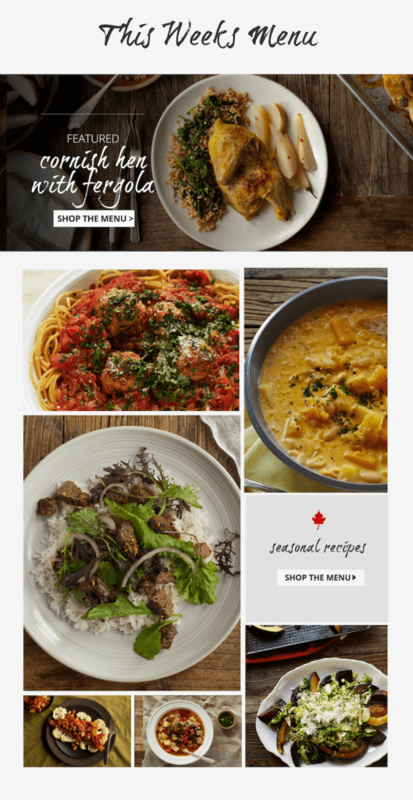 New Plated Menu – Fall Treats plus Thanksgiving Menu! 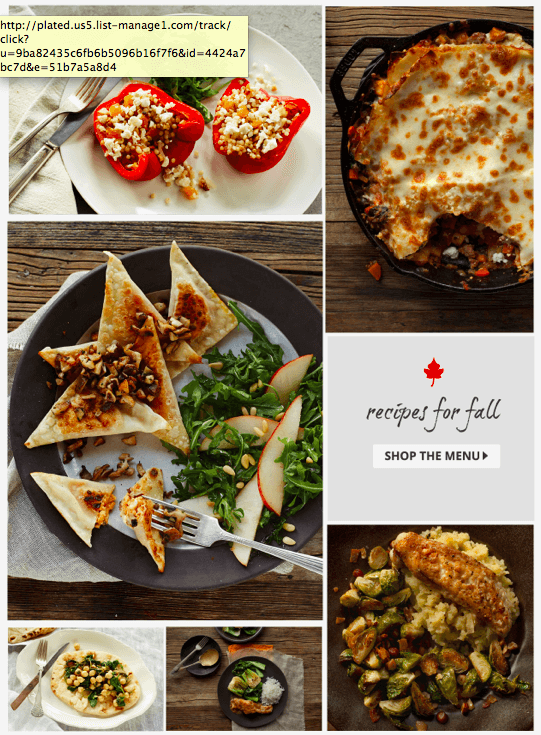 New Plated Menu – Yummy Fall Options!